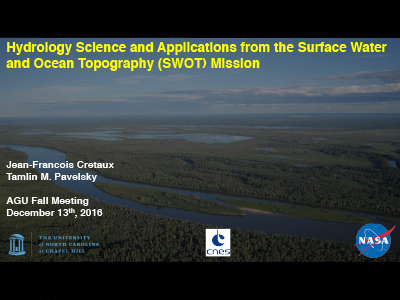 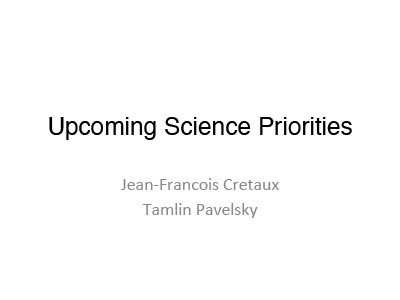 Cretaux, J-F. and Pavelsky, T. (13-Dec-16). 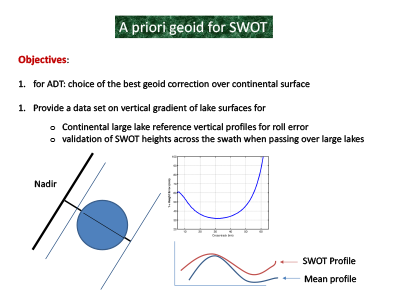 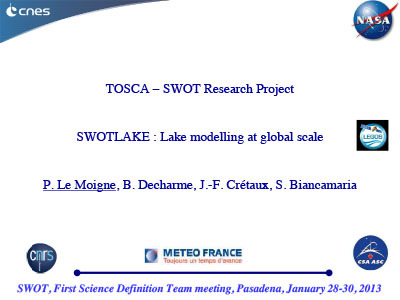 Because SWOT will measure temporal variations in the height, width, and slope of rivers, several algorithms have been developed to estimate river discharge solely from SWOT measurements. 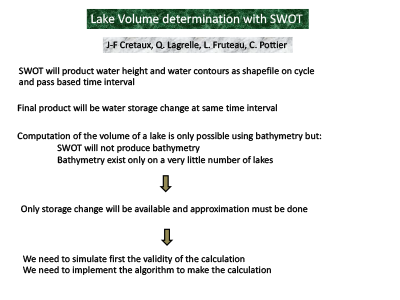 Additionally, measurements of lake height and area will allow estimation of variability in lake water storage. 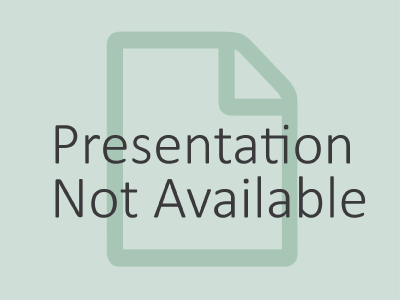 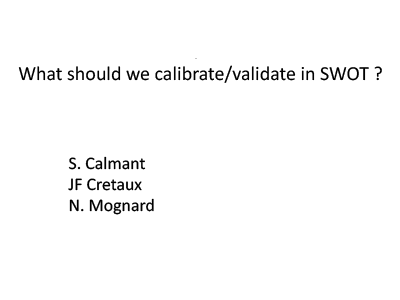 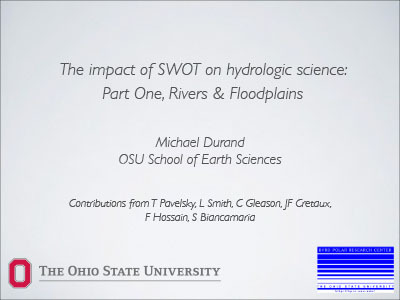 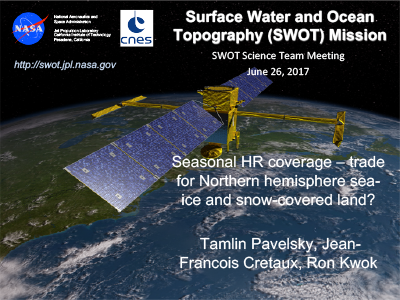 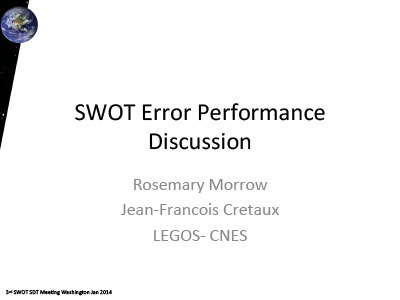 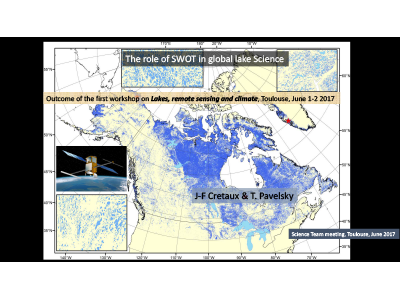 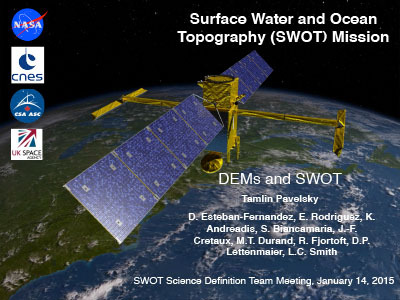 In this introductory presentation, we will discuss SWOT's capabilities and the science questions that it will aim to address. 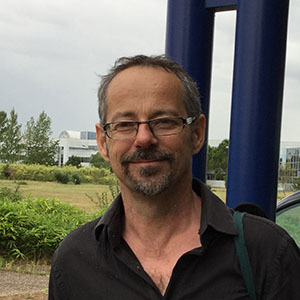 PI: Jean-François Cretaux (16-Jun-17). 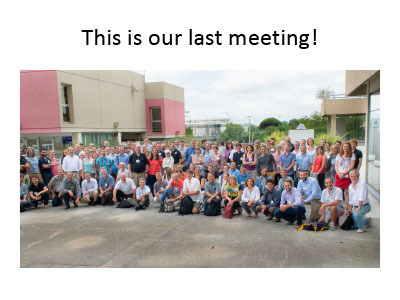 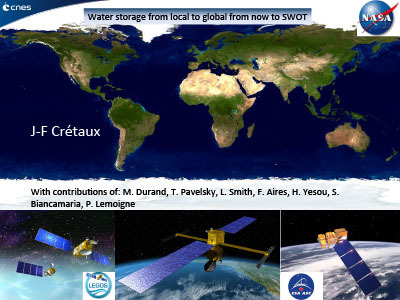 The group is composed of CECI (CERFACS/CNRS, Toulouse, France) and LNHE (EDF R&D, Chatou, France). 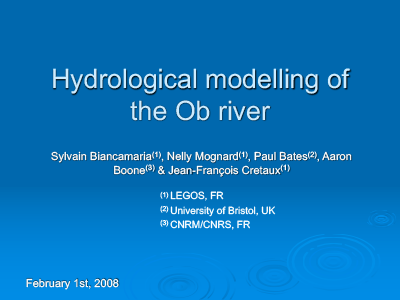 It gathers expertise in hydraulic modeling (TELEMAC-MASCARET software) and applied mathematics with a focus on uncertainty quantification (UQ) (sampling, analysis of variance, surrogate models) and data assimilation (DA) (ensemble-based methods, filtering algorithms, variational methods). 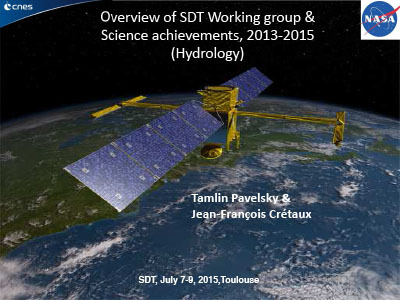 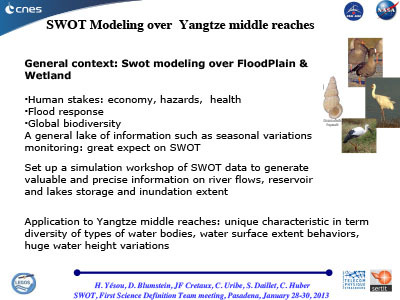 The group has been working together for several years; the most significant developments stand in the implementation of Kalman Filter derived algorithm for model state and parameters correction via DA of inset observations and its operational use for flood forecasting and water resource management. 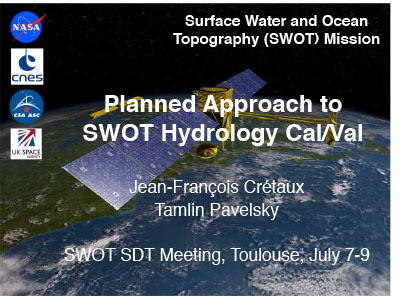 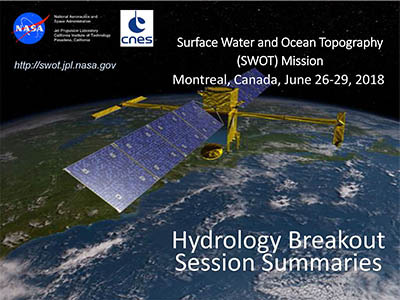 A perspective for these studies, developed here, is to use Surface Water and Ocean Topography (SWOT) data to improve hydraulic model parameters and results and consequently improve water level and discharge simulation and forecast. 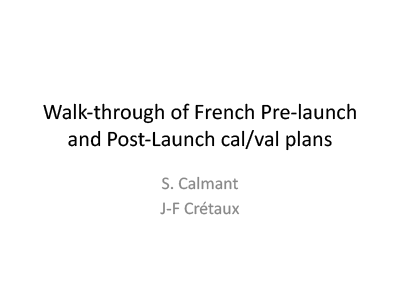 PI: Jean-François Cretaux (09-Jun-17). 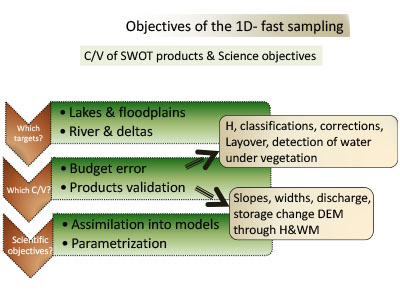 Variational data assimilation has been applied for discharge estimation under uncertainties in river bathymetry and bed roughness using the hydraulic model SIC2. 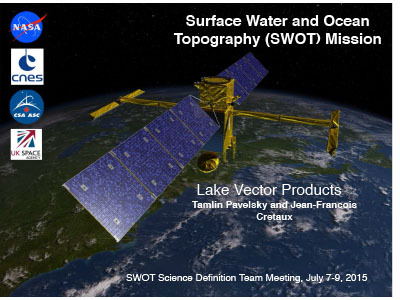 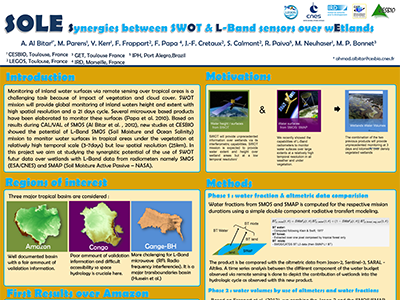 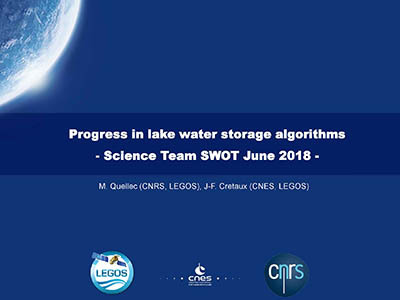 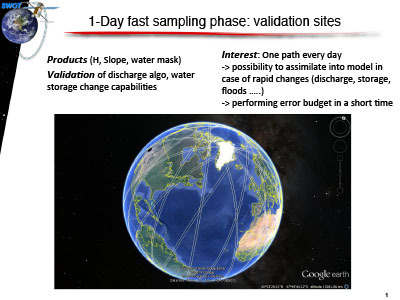 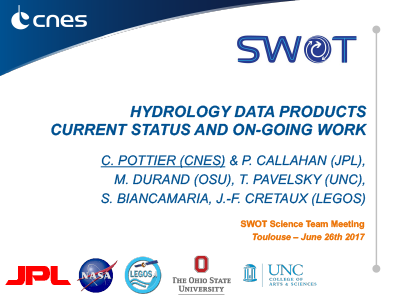 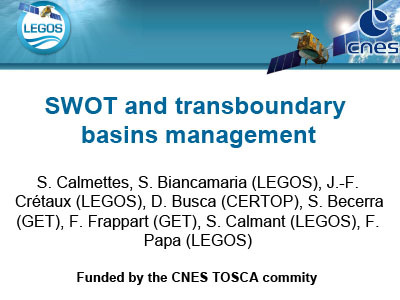 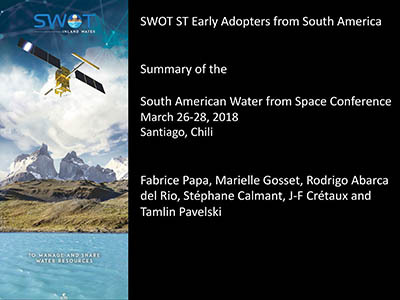 Synthetic WSE measurements, which emulate the spatial and temporal sampling of the SWOT mission, are assimilated for the Garonne River downstream reach. 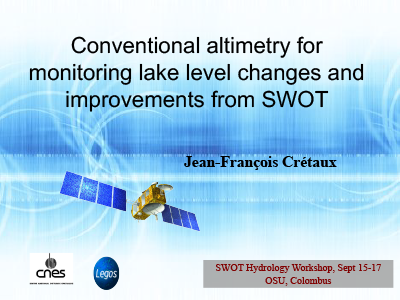 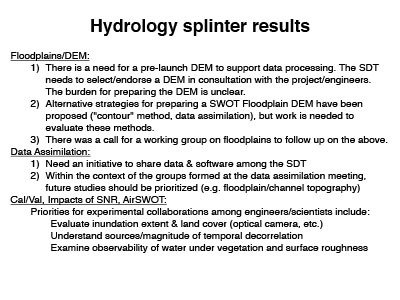 Similar tests have been carried out on the Po and Sacramento Rivers using the SWOT hydrology simulator developed at JPL. 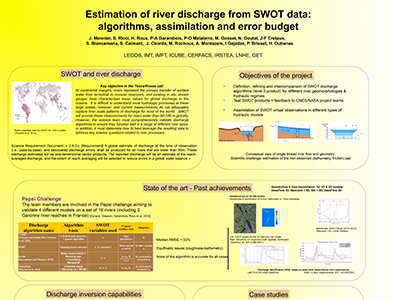 We investigate simultaneous estimation of discharge, river bathymetry and bed roughness in the framework of the extended control vector approach.